The White House’s suggestion that it may allow Russia to interrogate a former U.S. ambassador, among other Americans, has infuriated U.S. officials who fear such a move would badly undermine core legal protections offered to foreign service officers overseas. Although the Trump administration tried to backtrack on the issue Thursday, the anger exposed the ongoing tensions between the White House and U.S. diplomats. It also left some asking whether President Donald Trump and his top aides understood a basic pillar of international diplomacy. “I can’t imagine who would accept an ambassadorial nomination in light of this betrayal,” Dana Shell Smith, a former U.S. ambassador to Qatar, said ahead of the administration’s apparent reversal. The concept at stake is “diplomatic immunity” — a long agreed-upon international rule that gives diplomats of any country protection from being legally prosecuted by the countries where they are serving in embassies and other outposts. On Wednesday, White House press secretary Sarah Huckabee Sanders said Trump was considering a proposal from Russian President Vladimir Putin that would let the Kremlin question several Americans it accuses of various crimes in exchange for U.S. investigators’ access to Russians suspected of interfering with American elections. The people Putin wants access to include former U.S. 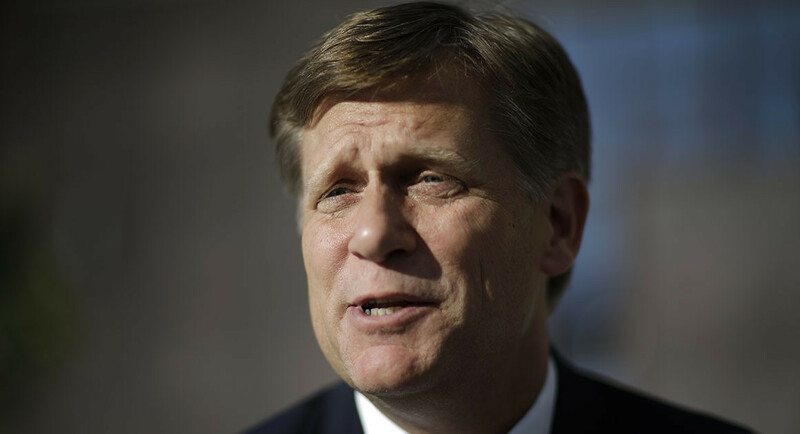 Ambassador to Russia Michael McFaul, as well as Bill Browder, a Putin critic who has campaigned in favor of human rights-related sanctions on Russia. On Thursday, in the face of growing outrage, Sanders said that although the Putin offer was “made in sincerity” that “President Trump disagrees with it.” And Secretary of State Mike Pompeo told the Christian Broadcasting Network “that’s not going to happen,” when asked if the administration would turn over the Americans. Still, the White House’s slowness in dismissing the idea infuriated people across the political spectrum in the United States. One major reason is the strong belief that the Russian justice system is anything but fair and certainly not equal to the U.S. justice system. But for U.S. diplomats, McFaul’s inclusion was extra ominous because it suggested that the Trump administration was willing to ignore the diplomatic immunity officials serving overseas say is critical to the pursuit of their jobs without fear of arrest. Not immediately knocking down Putin’s idea “makes our jobs harder and letting it run any further raises questions about the president’s commitment to the security of his ambassadors,” a senior serving U.S. diplomat said. Among the people who slammed Sanders’ initial comments were former secretaries of state John Kerry and Madeleine Albright. “Merely entertaining this idea betrays our diplomats, undermines our interests, and hands Putin yet another propaganda victory,” Albright tweeted. The White House’s relationship with America’s diplomatic community got off to a bad start before Trump even took office when the then-president-elect ignored offers from the State Department to brief him ahead of his discussions with foreign leaders. In the early weeks of his presidency, around 1,000 State Department staffers signed a “dissent memo” criticizing Trump’s initial travel ban on people from a handful of Muslim-majority countries. In response, a White House spokesman bashed the “career bureaucrats” and suggested they should quit if they didn’t like the president’s policy. Trump’s repeated proposals to slash the State Department’s budget by a third, and his aides’ slowness in appointing people to leadership positions at State have also hurt morale. That morale wasn’t helped when Putin expelled hundreds of U.S. diplomatic staff from Russia in 2017 and Trump quipped that it would help save on payroll. The 1961 Vienna Convention on Diplomatic Relations spells out the basics of the legal immunity diplomats can expect when serving abroad. There are very limited exceptions to the rule, and in theory diplomats could get away with significant crimes. But because the concept is enjoyed by diplomats across the world, the idea is that it helps every country’s diplomats work with less fear that what they are doing could lead to them being accused of a crime in their host country. Some in the U.S. diplomatic community tried to give Trump and Sanders the benefit of the doubt, suggesting that perhaps they didn’t know the contours of the sensitive issue. “It is as though there is no understanding of international law and traditional practice nor any comprehension of why such things serve America’s own national interests,” said Ronald Neumann, president of the American Academy of Diplomacy. While widely accepted, diplomatic immunity is not without controversy. In January 2011, a CIA contractor working for the United States shot and killed two Pakistanis in Lahore, Pakistan, claiming they were trying to rob him. The U.S. said the American, Raymond Davis, technically had diplomatic immunity and could not be charged in the killings.